Earn $3.69 in VIP credit (369 points)What's This? 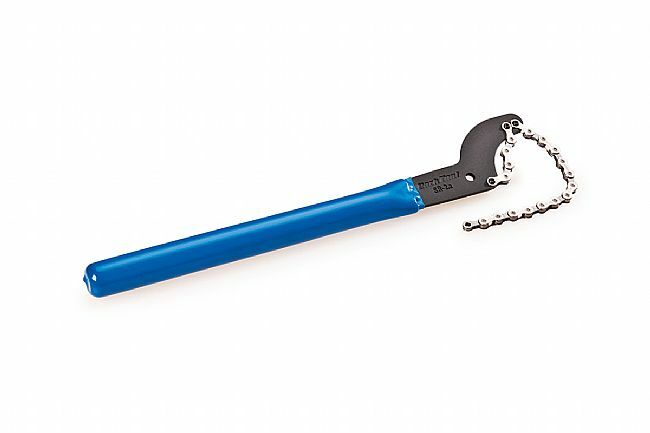 The Park Tool SR-2.2 Shop Sprocket Remover / Chain Whip is a shop-quality tool that offers superior leverage and easy use. Featuring a round vinyl-coated handle, the SR-2.2 is comfortable in the hand and in use. Hardened bolts hold the chain whip securely to the heavy duty heat treated head. The Park Tool SR-2.2 Shop Sprocket Remover / Chain Whip is approximately 15" long, and is compatible with 5- to 12-speed cassettes and freewheels.